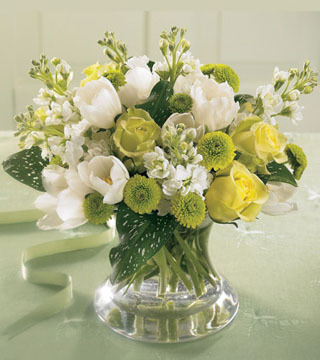 A study in green - jade roses, pistachio carnations, green dendrobium orchids and green spider chrysanthemums. 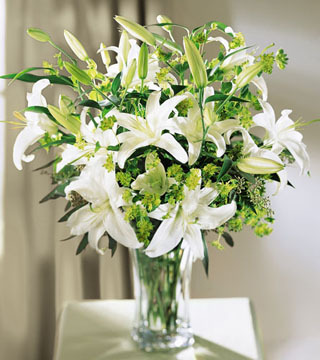 All are nestled between two leaves and hugged by grapevines in a whitewash bamboo basket. 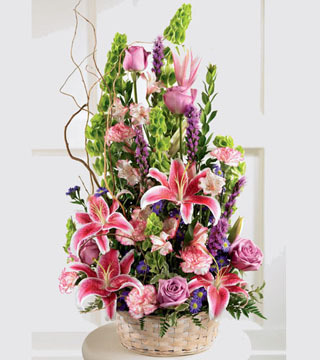 A lovely arrangement to send for any occasion.